Paperback Horror has moved to a new venue. For ARC and review queries/submissions, please contact me at Dreadful Tales. You can find the email address on the "About Us" page. Thanks, PBH. In January 2011, Spectral Press dropped a great little chapbook on us called 'What They Hear In The Dark' by Gary McMahon. With that publication, Spectral Press peaked my interest, and satisfied my need for a emotional and evocative story. This time around, Spectral is offering up an intense, emotional, and psychologically-challenging read with Abolisher Of Roses by Gary Fry, cementing themselves as a press to watch, and delivering yet another incredible piece of short fiction. Peter has been married to Patricia for nearly thirty years. He's a practical man, the owner of a thriving factory, and the father of two fine lads. He also has a secret mistress. One day, his wife takes him along to an outdoor arts exhibition involving some of her paintings, staged in a dark, deep wood. A powerful piece is always a great treat, and this story is just that. 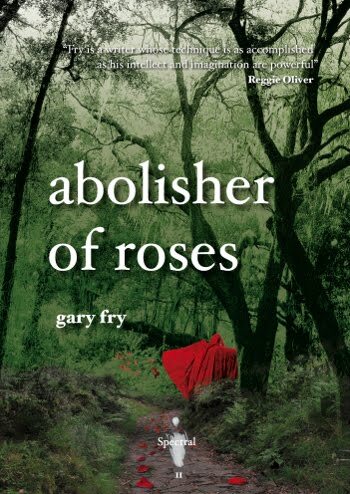 Psychologically gripping, Abolisher Of Roses makes the reader take a look at infidelity and relationships from a different angle. The relationship presented in this chapbook, between a husband and wife, is a perfect example of the idea that sometimes our past indiscretions can catch up to us and make us pay in the strangest of ways. What the author does here is phenomenal. The story starts off at a walking pace, coaxing the reader into thinking that they're looking at a sleepy little tale, only to amp up the pressure like a slow cooker, and eventually throttling the reader into a forceful introspection of their own deeds. Fry decidedly plays with the imagination in a wonderful way, offering very subtle instances of creepiness that will haunt the reader long after the story is finished. The characters are well played out, the setting and surrounding ambiance are delightfully transgressive, and the overall feeling is a mixture of a semi-sedated, creeping terror and an outright finger-in-the-face kind of accusation that makes this read feel like a roller coaster ride to certain doom. Fans of UK horror will definitely love this story, and those who are unfamiliar with them will be in for a treat. This is definitely something to grab and throw yourself into. Get a (very limited) copy of Abolisher Of Roses here, and check out Spectral Press' website here. You can also check out Gary Fry's website here. You can purchase a yearly subscription to Spectral's chapbooks (1 year, 4 volumes) at their website. Wow! This sounds SO intriguing. I hope I can get to it soon. Thank you for the great review. Not really sure what's going on in the above comments, but I had nothing to do with it. Gary Fry is on a lot of the same message boards as I am: he sounds like a nice guy and a fine writer as well. As for me, I'm a horror writer too. I've put up a few short horror stories of my own on my blog. If you would like to check them out, the address is www.iwritehorror.blogspot.com. I get spammed a fair amount, and being that I'm running around with 3 kids, or "working" (and I use that term loosely), I haven't gotten around to removing them. If you're a horror writer and you'd like your stuff reviewed, there are a fair number of people I can recommend for this. As for being reviewed on this site... well, there's news to come. Send me an email and we'll talk. For all of your Industrial, Gothic, and Electronic music needs. Click the link to buy this e-book today! Paperback Horror has merged with Dreadful Tales (www.dreadfultales.com.) 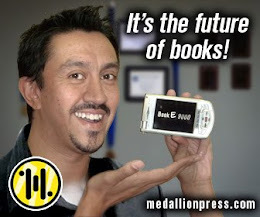 in order to create a better genre lit experience for all involved. If you still wish to contact Colum, please send an email to paperbackhorror @ gmail . com. Goodbye PBH - Hello Dreadful Tales! Good bye, 2010. Get goin', now.